2 BEDROOM/2 BATH + DEN/OFFICE HOME ON PRIVATE EXTRA LARGE, MAINTENANCE FREE, GOLF COURSE LOT LOCATED ON CUL-DE-SAC. HIGHLY UPGRADED W/PORCELAIN TILE THROUGHOUT, CORIAN COUNTERS, RAISED MAPLE CABINETS. CEILING FANS IN EVERY ROOM. 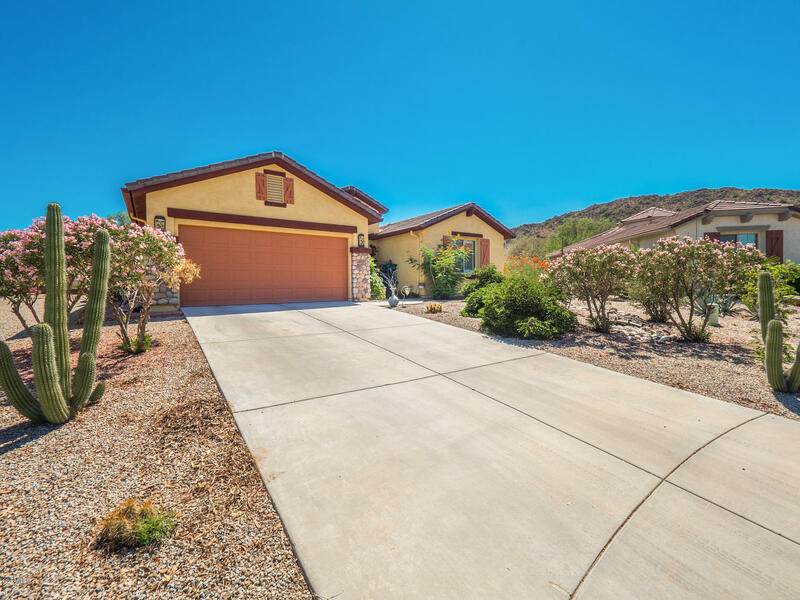 EXTENSIVE LANDSCAPING IN THE BACKYARD INCLUDING EXTENDED PATIO WITH PERGOLA, BUILT-IN GAS BBQ AND POND WITH WATERFALL AND MOUNTAIN VIEWS TO ENJOY THE BEAUTIFUL SUNSETS. PRIVATE COURTYARD OFF KITCHEN. COMMUNITY CENTER WITH HEATED POOL, FITNESS CENTER, SPA, AND COUNTLESS ACTIVITIES. BE SURE YOU SEE THIS HOME BEFORE YOU BUY ANYTHING ELSE.